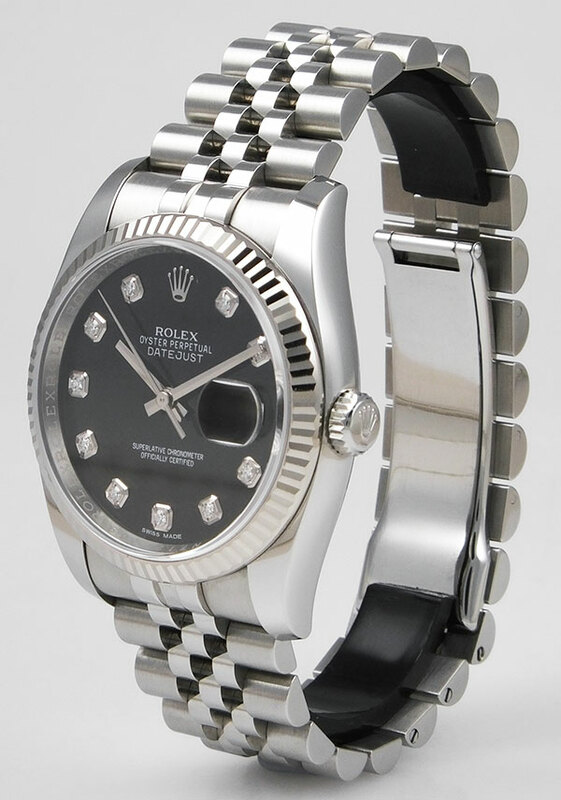 Gentleman's Rolex Oyster Perpetual DateJust with beautiful factory-original diamond-set dial and stainless steel 'Jubilee' bracelet with hidden Crownclasp. 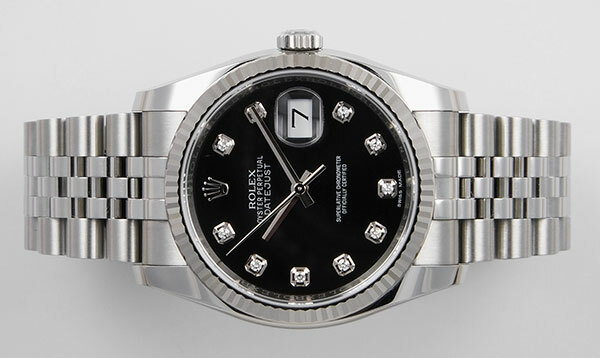 New replacement RRP: £7,700. A virtually brand new, UK sourced watch. 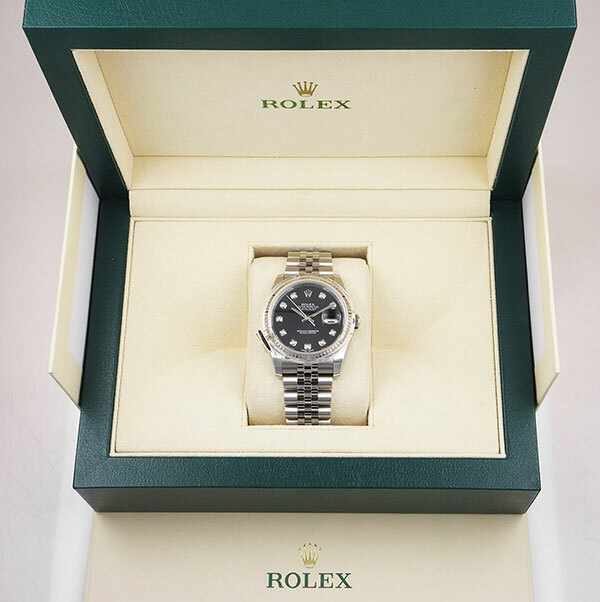 Stainless steel case is in superb original (unpolished) condition with 18K screw down 'Twinlock' winding crown and 18K 'Fluted' white gold bezel - both in perfect condition with none of the all too common chips, dents, etc. 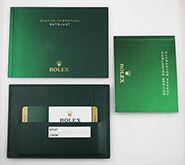 Rear cover also in mint condition with no damage from incorrect entry attempts and has no inscription or engraving. Case reference no: 116234. Serial no: N7127xxx. 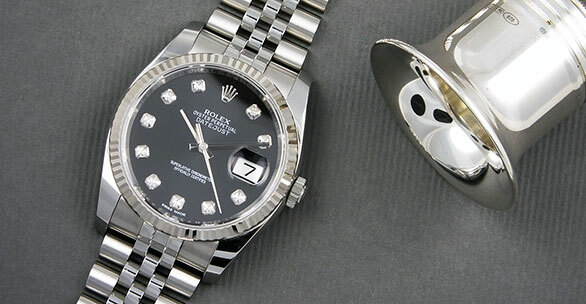 Case dimensions are 36mm in diameter (not including crown), 11.5mm thick and 44mm lug to lug. 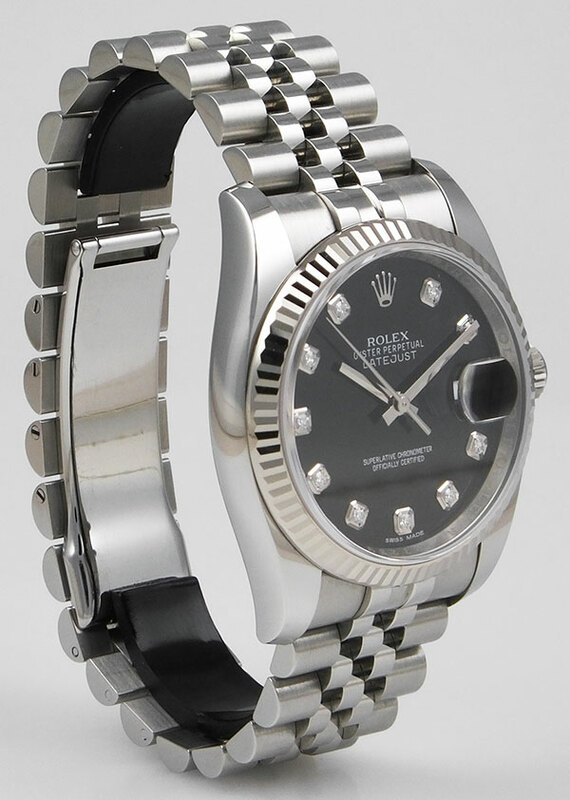 Original factory supplied & flawless black diamond-set dial with Rolex Coronet at 12 o'clock and complementing white gold hands. 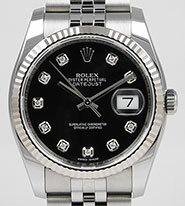 Dial is signed "Rolex Oyster Perpetual DateJust, Superlative Chronometer Officially Certified, Swiss Made". Sapphire crystal has one tiny scratch - difficult to make out between 12 and 1 o'clock. 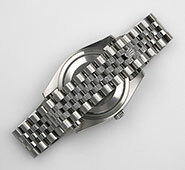 Stainless steel 'Jubilee' bracelet is again virtually 'as new' with ZERO stretch/play in the links. Bracelet will currently fit approx. 7.5" wrist or can be adjusted by removing or adding links (two extra links are included - full retail bracelet). This is the newer model DateJust with the heavier bracelet and hidden deployant 'Crownclasp'. 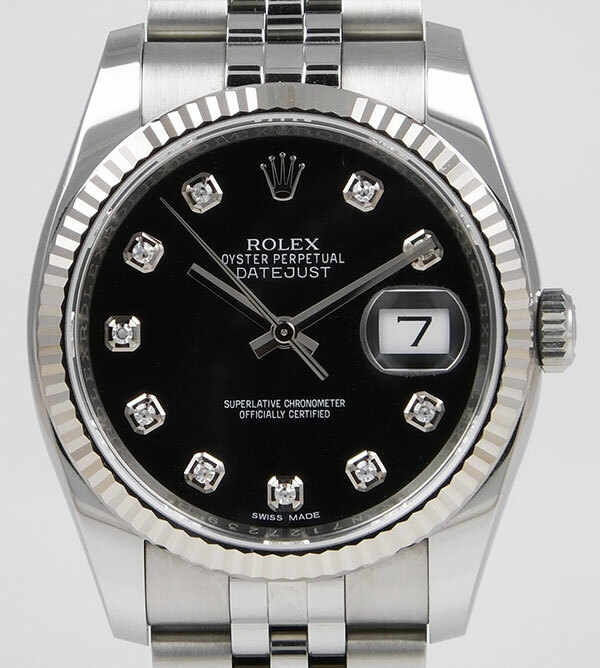 Automatic model 116234, 3135 (QuickSetDate) calibre Rolex movement in perfect condition. Still under Rolex 5 year warranty until 02/04/2023. This watch comes complete with both boxes, manual, service booklet and its original warranty card. The watch is 100% genuine and rest assured, we give a lifetime guarantee on the authenticity of all the watches we sell.